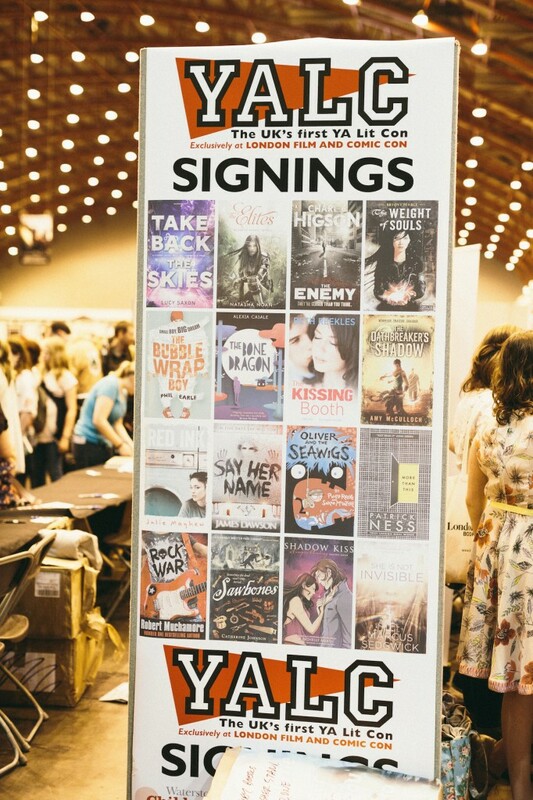 Last weekend I was at the UK’s first YA literature convention, an event organised by the lovely people at Booktrust and YA queen Malorie Blackman, and it turned out to be the maddest, most fun experience of my author life so far. It was just the best. 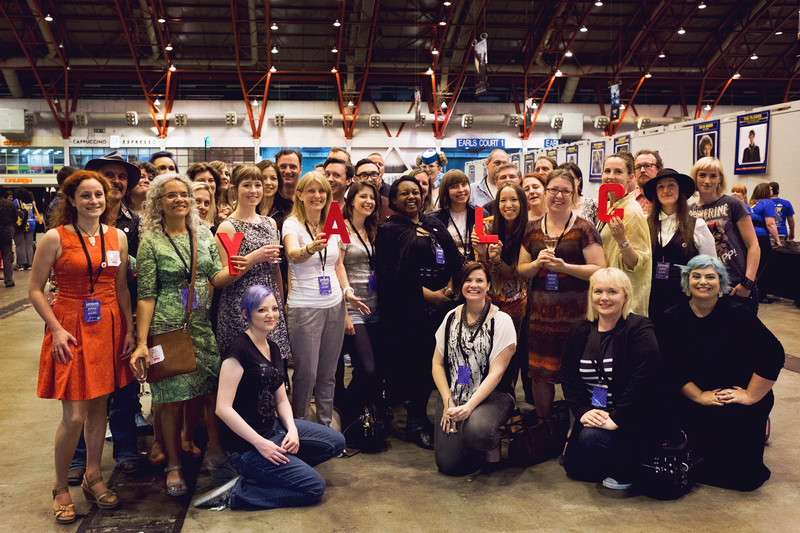 There were tonnes of wonderful bookish people, and the atmosphere was practically fizzing with excitement. 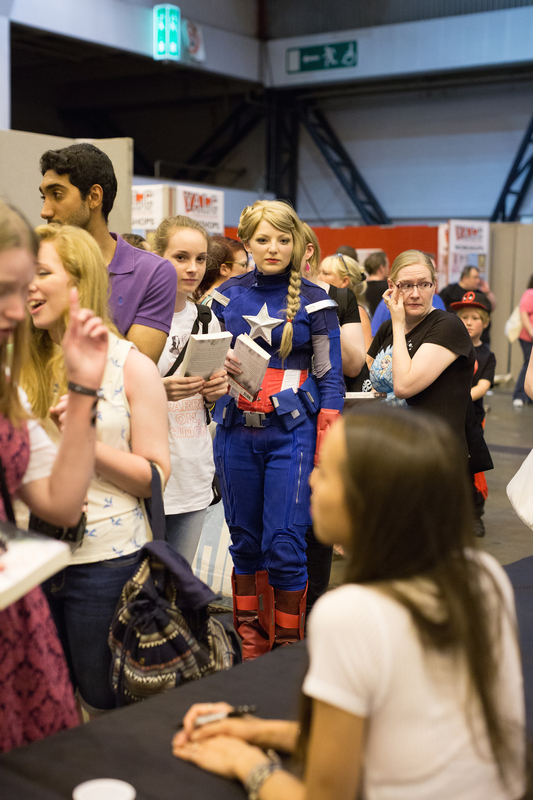 Loads of people turned out for the book stalls, author workshops, panel discussions and signings – as well as all the accompanying London Film and Comic Con craziness that was also going on at Earl’s Court over the weekend. 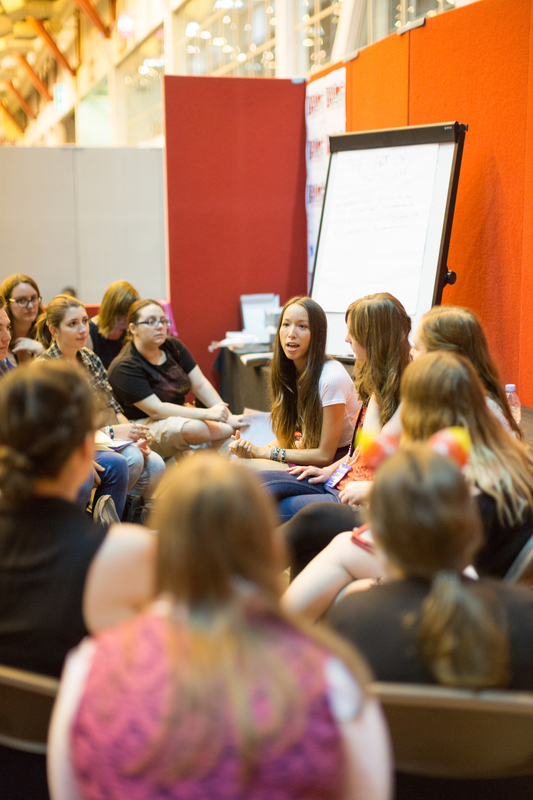 I did a workshop on blogging with author Holly Bourne, booktuber Sanne Vliegenthart and Macmillan’s marketing manager Kat McKenna. Look how excited fellow writer and lovely blogger Marieke is to meet me! 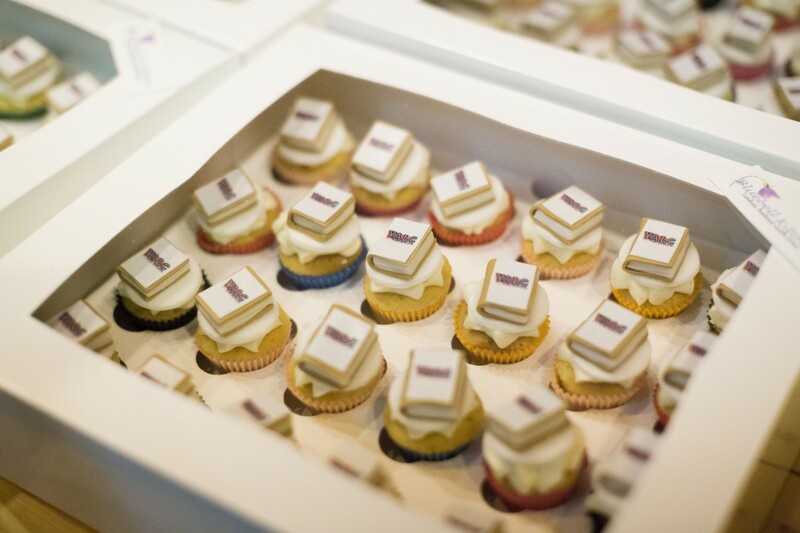 Haha 😉 If you look closely you’ll spot a copy of The Memory Keepers on the table. Hot Key were able to get a few advance copies there, and they completely sold out! Yay! I’m even more excited now for the official release date in September. 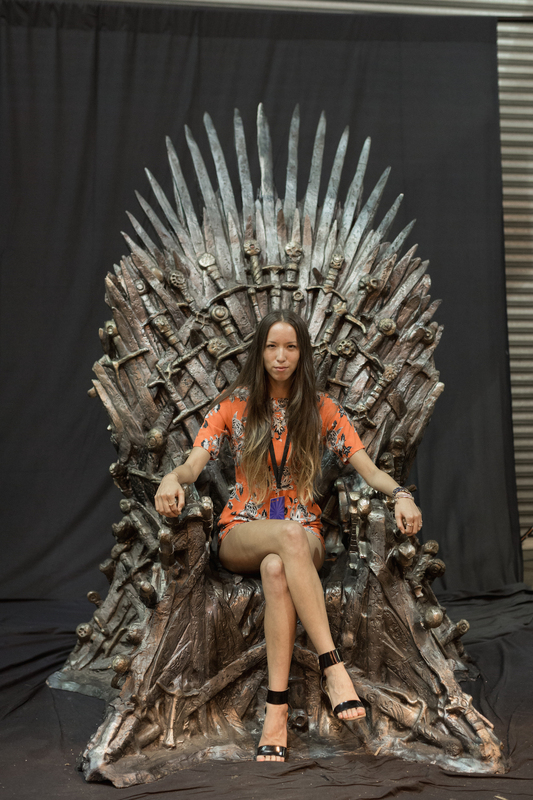 I got to sit on the world’s most uncomfortable throne. 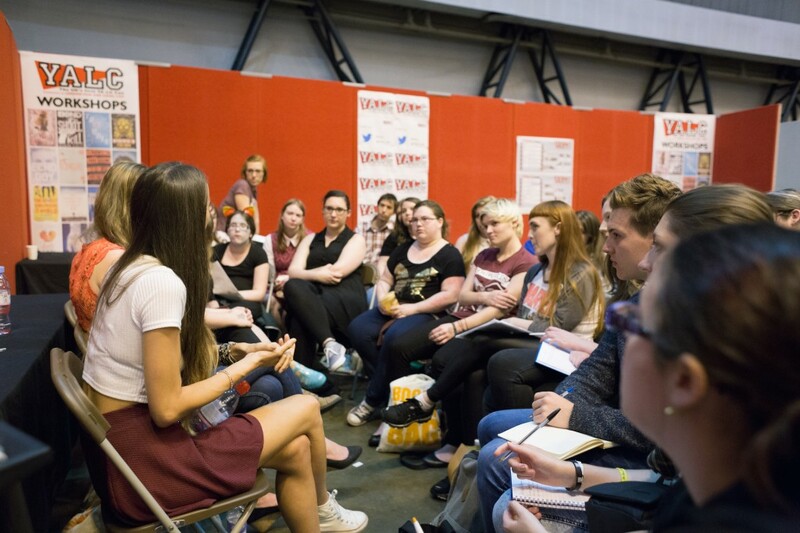 It was such a shame I haven’t got round to reading or watching Game of Thrones yet, because half the cast was at Comic Con, and as we shared the same chill out room as them there was much celebrity spotting to be done. I got rather excited about seeing John Hurt and Anthony Head there, and had a little fangirl over the wonderful Mark Gatiss (Mycroft in Sherlock). I met lots of amazing authors who I’d only previously known on Twitter and had long admired, including Frances Hardinge, Matt Haig, Kim Curran and Rainbow Rowell. 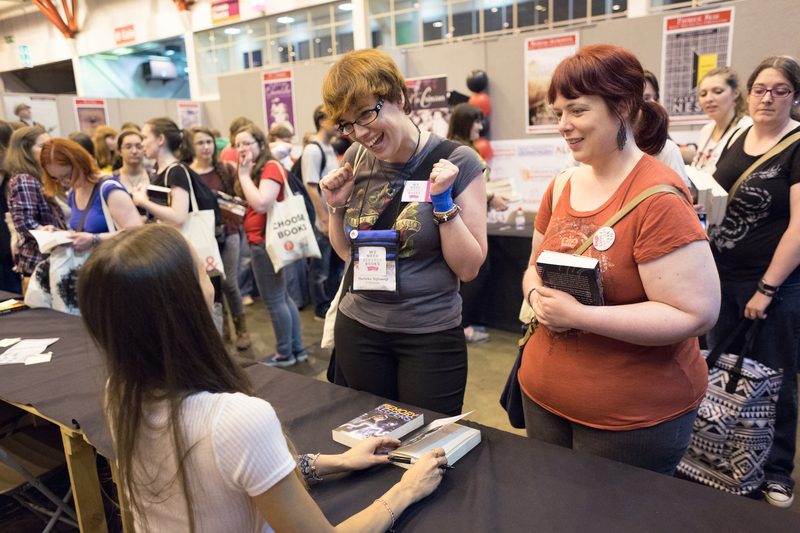 Everyone was so nice and made me feel like one of the gang, even if I do look at this photo of me squidged in with YA royalty and think what is my life. 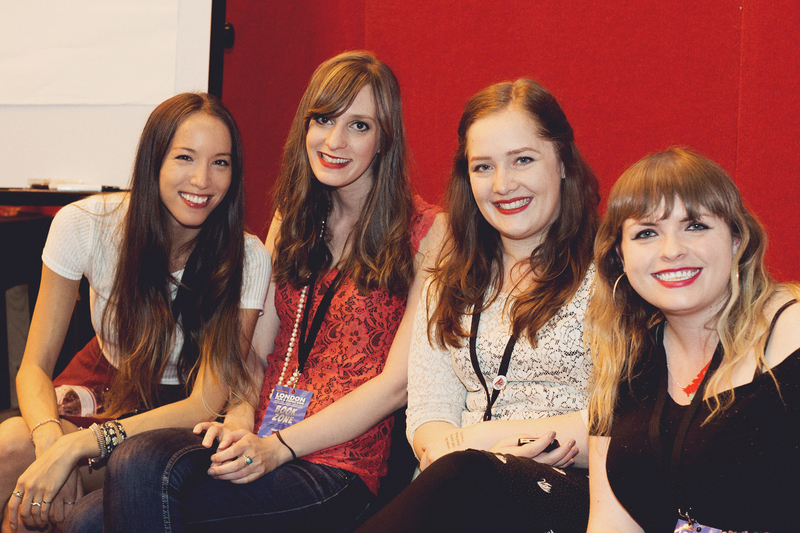 The same goes for all the wonderful book bloggers I got to meet, such as Charli and Lucy. 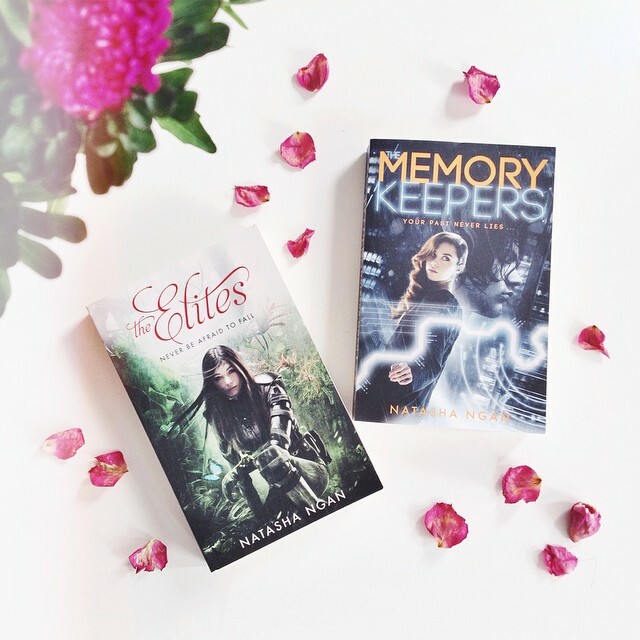 I can’t get over how talented they are at such young ages to run such successful, interesting blogs, and I’m forever grateful to them for the support they’ve given me since debuting with The Elites last year. 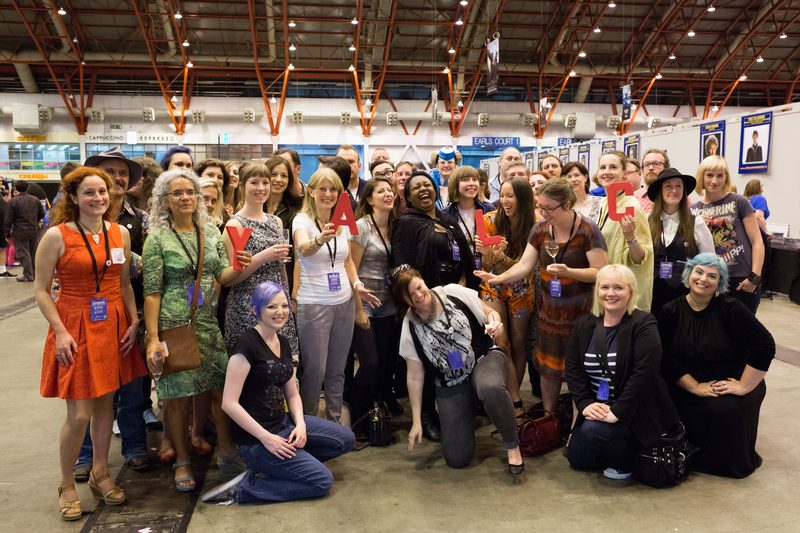 All in all I had the best time at YALC, and can’t wait to hopefully do it all again next year! A huge thanks to Malorie and the Booktrust team for organising it all. 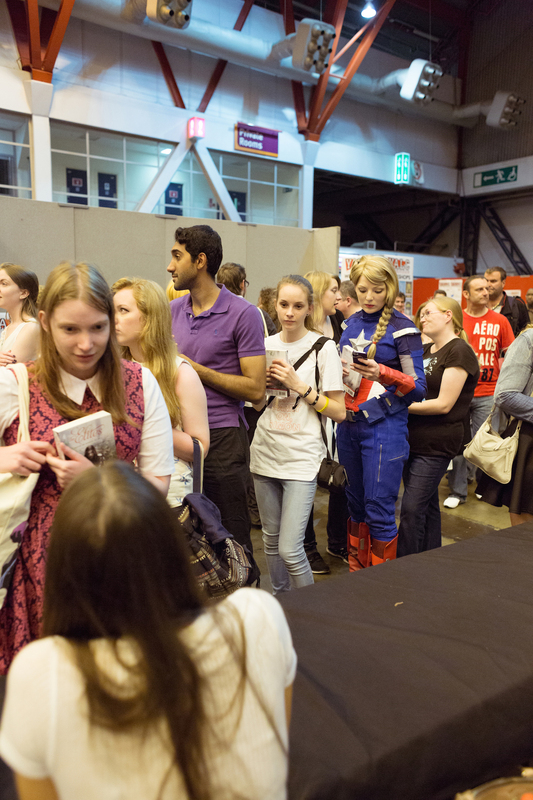 The event was such a success, and just goes to show that teenagers do read – and can get damn excited about it all too!